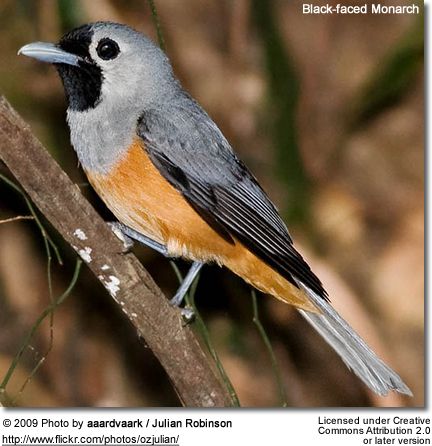 The Black-faced Monarch, Monarcha melanopsis, is a passerine bird. 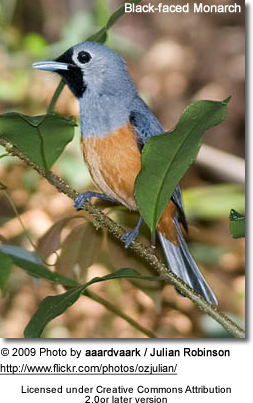 It was previously classified with the Old World flycatcher family Muscicapidae, but the paradise flycatchers, monarch flycatchers and Australasian fantails are now normally grouped with the drongos in the family Dicruridae, which has most of its members in Australasia and tropical southern Asia. 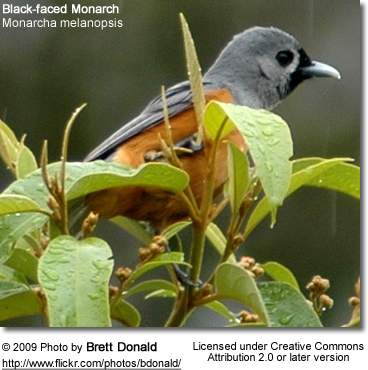 The Black-faced Monarch is found along the entire eastern seaboard of Australia. 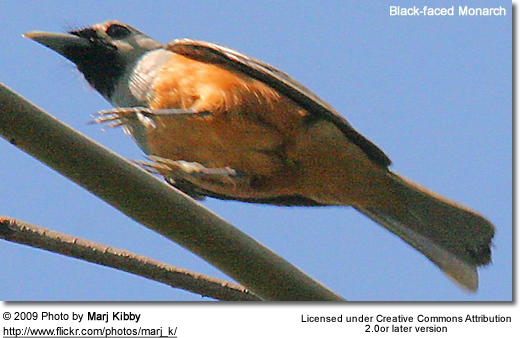 It is grey, with rufous underparts and a black patch on the face.